Apple’s most affordable 4.7″ smartphone is now even more affordable than ever. The iPhone 6 32GB is Apple’s Special Edition model for 2017 and it’s a bigger screen alternative to the iPhone SE. Originally priced at RM1,999, the iPhone 6 32GB is now going for only RM1,499. This is the second price slash since its intoduction in mid-March 2017. 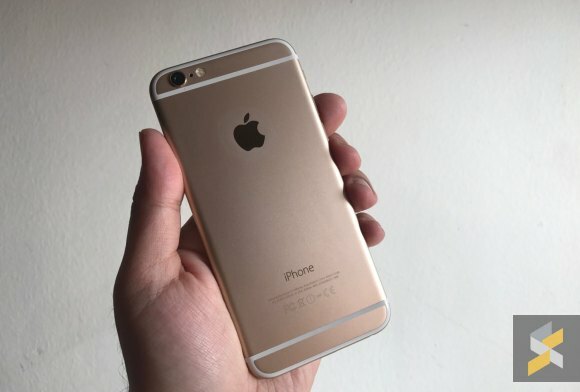 To recap, the iPhone 6 32GB only comes in gold and it retains the same hardware as the original iPhone 6 from almost 3 years ago. You get a 4.7″ display that does 1334×750 pixels resolution and it runs on Apple’s A8 chip with 1GB of RAM. For taking pictures, it gets an 8MP f/2.2 camera at the rear while the front comes with a 1.2MP selfie camera. It comes with a 1,810mAh battery and it also retains a 3.5mm headphone jack. New for 2017, the iPhone 6 32GB comes with iOS 10 out of the box and it will support the upcoming iOS 11 when it is available later this year. If you’re looking for a brand new iPhone for under RM1,500, you can check out the iPhone 6 32GB over at Switch. Looking for something even more affordable? The iPhone 5S 16GB from 4 years ago is now going for RM999 and it is available in either Silver or Space Grey. To recap, the iPhone 5s is similar to the latest iPhone SE in size with a 4″ Retina Display (1136×640). It run on Apple’s older 64-bit A7 chip with 1GB of RAM. It also features an 8MP camera with dual-tone LED flash while the front gets a 1.2MP FaceTime HD camera. If you’re interested, you can check out the iPhone 5S 16GB from Machines.